or grilled island for you. entertainment for family and friends. 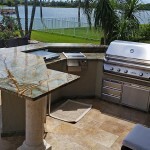 We are creative people making incredible kitchens. 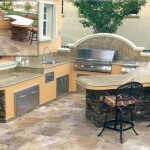 We are a local design and manufacturing business, founded and operated by a construction engineer. 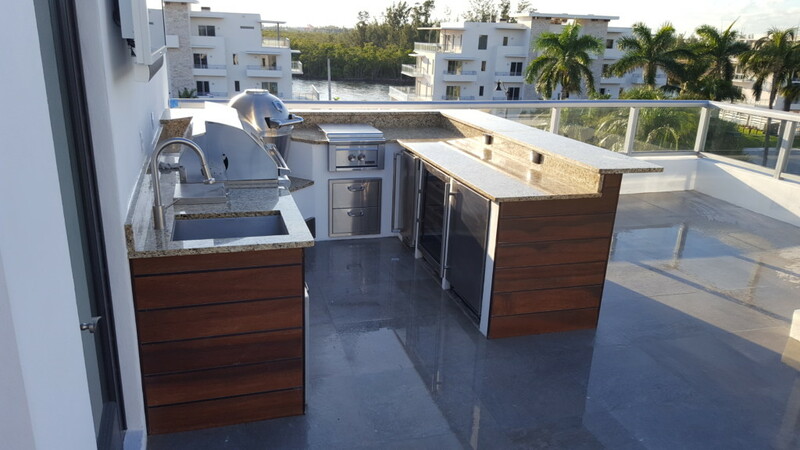 Our company specializes in the design, manufacturing, and installation of custom outdoor kitchens and grill islands; with more than 10 years of experience and over 100 satisfied customers. 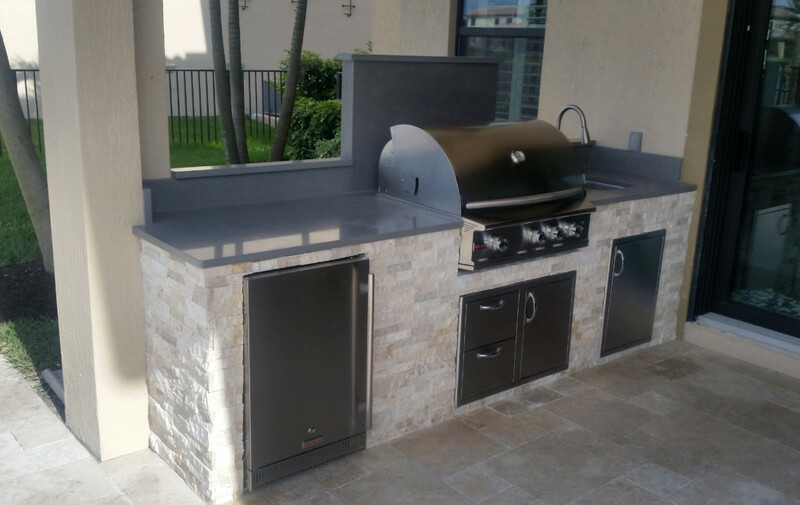 We have experienced designers and technicians who will give you the best quality, for a reasonable cost and in a timely manner. You deal directly with the owner and receive the best service in the market. Each design is customized to fit your needs, and you receive a computer generated drawing. 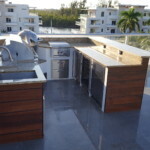 We do not change our price once the estimate is agreed upon, unless the project is modified. Durable, non flamable and weather-resistant cabinets are custom-fabricated at our facilities to be transported to your home, minimizing time required working at your home. 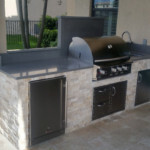 Our manufacturing and installation process usually does not require the need for building permits. 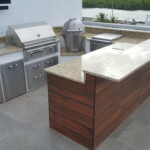 When you hire us, you can be assured that we have over 10 years of experience building outdoor kitchens. Your satisfaction is guaranteed. applied the best of ourselves to the task at hand. the best quality, for a reasonable cost and in a timely manner. After you contact us, by appointment we come to your home for a free, no obligation one-to-one interview. 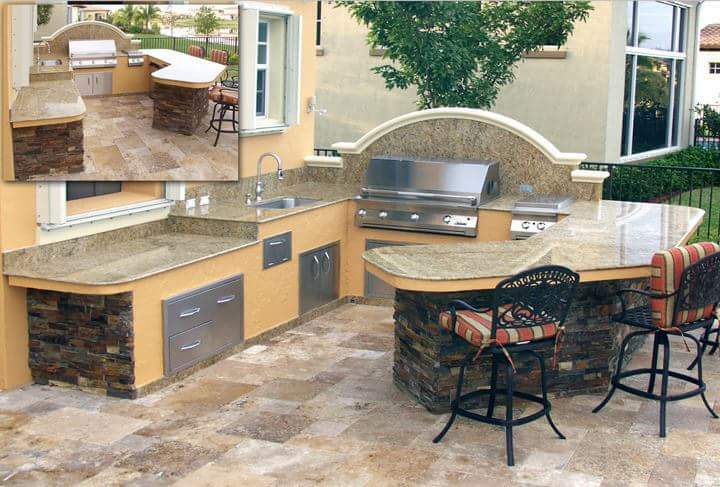 We listen to your outdoor project requirements, exchange ideas, and give you our best advice based on our experience. based on the requirements agreed upon and the equipment chosen by the client. 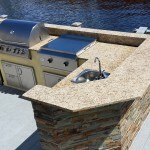 The design process includes your selection of countertop surface, and components, with our advice. ovens, refrigerators, freezers, utensil and cookware storage. which once approved will be included in your custom kitchen. This design is promptly provided to the customer for approval with a detailed quote. under the supervision of our designer and manufacturing engineer. perfect coordination, and precise dimensional fitment in your home. clad with a weather- and mildew-resistant exterior construction panel board (not plywood). 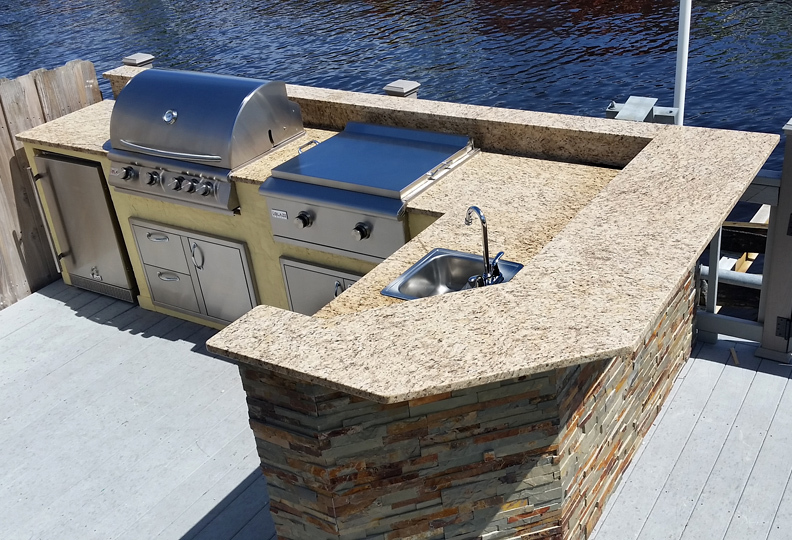 All seams are reinforced and all surfaces are impermeable and sealed with weather-resistant premium products. 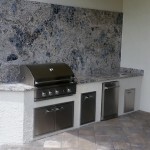 We transport and install the pre-finished cabinets in the specified area of your home. 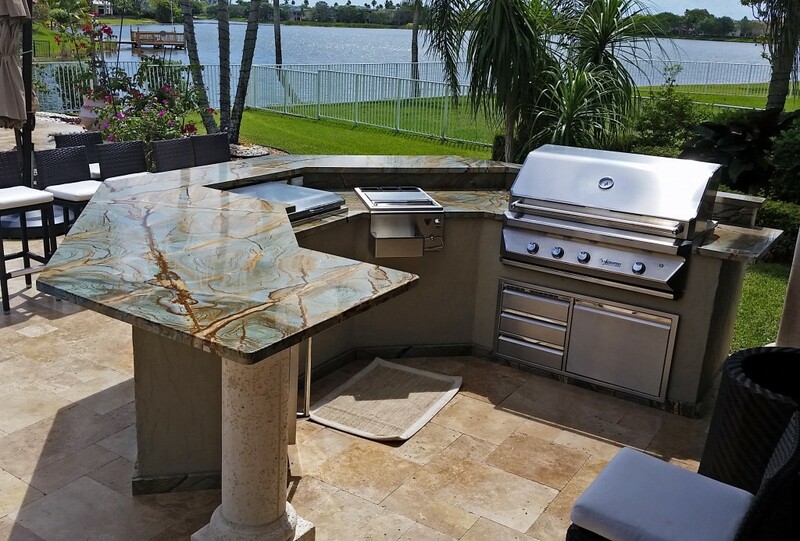 Once the cabinets are secured in place, the countertop of your choice is installed. testing each one of them to be sure that everything is in working order. The worksite is swept clean. The complete installation process is clean, fast, and only requires a few days. 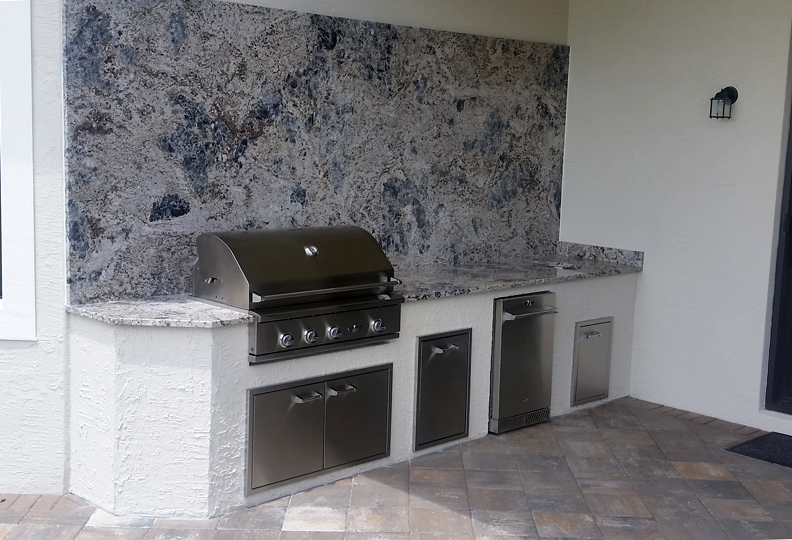 Contact us today to make a kitchen you will be proud of! 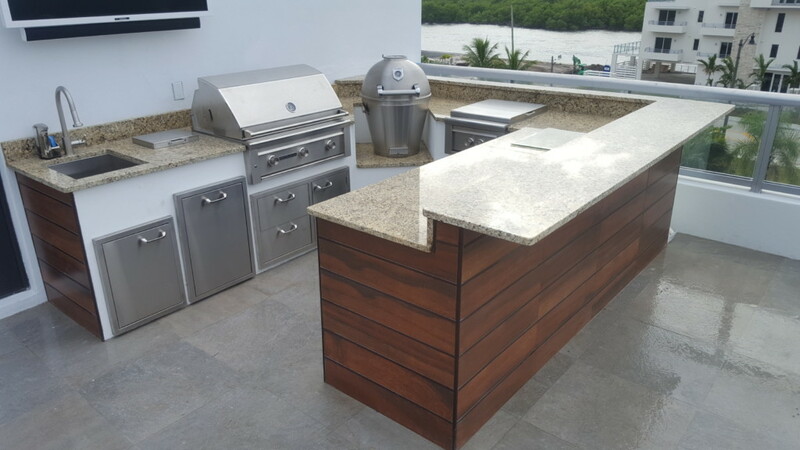 With over 10 year experience and over 100 satisfied homeowners, you can rely on us for your next outdoor kitchen or grill island. We love referrals!